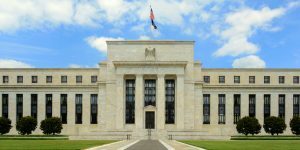 The Fed minutes released yesterday signaled a hawkish stance and raised the chances of a faster-than-expected rates hike. This is because Fed officials are now more confident about economic growth and the need to keep raising rates as inflation picks up. They now see a much stronger economy than at the end of 2017, thanks to tax cuts, increased consumer spending, rising consumer confidence, 17-year low unemployment, pick up in average hourly earnings and better-than-expected January inflation numbers. The minutes point to “further gradual increases” in short-term interest rate. Many market participants believe that the addition of the word “further” opens the door to four hikes. According to data compiled by CME Group, there is 30% probability that the Fed will raise rates four times this year, compared with about 20% a month ago. In particular, the combination of tax cuts and spending increases would result in higher inflation, compelling Fed to tighten its policy aggressively. Notably, the first rate hike for this year is expected to come as soon as next month. The hawkish signals pushed Treasury yields higher, and are expected to benefit the financial sector. The sector is a major beneficiary of a rising interest rate environment. This is because the steepening yield curve bolsters profits for banks, insurance companies, discount brokerage firms and asset managers. Given this, we have highlighted three ETFs and stocks that are expected to see smooth trading this year and lead the market higher. While there are a number of ETFs in this corner of the market, we have highlighted those that have a solid Zacks ETF Rank #2 (Buy). The Financial Select Sector SPDR Fund (NYSEARCA:XLF) is by far the most popular financial ETF in the space with AUM of $33.1 billion and average daily volume of nearly 59 million shares. The fund follows the Financial Select Sector Index, holding 67 stocks in its basket with double-digit allocation to the top two firms, JPMorgan Chase & Co. (NYSE:JPM) and Berkshire Hathaway Inc. (NYSE:BRK.B). In terms of industrial exposure, banks take the top spot at 45.5% while capital markets, insurance and diversified financial services make up for a double-digit exposure each. The fund charges 13 bps in annual fees and is up 3.6% in the year-to-date time frame. The Vanguard Financials ETF (NYSEARCA:VFH) manages nearly $8 billion in asset base and provides exposure to a basket of 408 stocks by tracking the MSCI US Investable Market Financials 25/50 Index. It is pretty well spread with each holding no more than 9.4% of the assets. Banks account for nearly half of the portfolio, followed by insurance (19%) and financial services (11%). The product sees solid volume of 666,000 shares and charges 10 bps in annual fees. It has gained 3.4% since the start of the year. The iShares U.S. Broker-Dealers & Securities Exchanges ETF (NYSEARCA:IAI) offers exposure to U.S. investment banks, discount brokerages, and stock exchange firms by tracking the Dow Jones U.S. Select Investment Services Index. The product holds 27 securities with the largest allocation going to top five firms that collectively account for 44.4% of the portfolio. It has accumulated $224.1 million in AUM and trades in moderate volume of nearly 41,000 shares a day. The product charges 44 bps in fees per year from investors and has gained 4.6% in the year-to-date timeframe. We have chosen three stocks using the Zacks Stock Screener that fit our criteria of a Zacks Rank #1 (Strong Buy) or 2 (Buy), and VGM Score of A or B.
Moelis & Co (NYSE:MC) is a global independent investment bank providing strategic and financial advisory services in the United States and internationally. The stock has seen solid earnings estimate revision of 44 cents over the past 60 days for this year with an estimated earnings growth of 19.21%. It has a VGM Score of B and carries a Zacks Rank #2. Hancock Holding Company (NASDAQ:HBHC) is a Zacks Rank #2 company with a VGM Score of B operates as the bank holding company for Whitney Bank and provides a range of community banking services to commercial, small business, and retail customers. It saw solid earnings estimate revision of 52 cents over the past 60 days for this year, with an expected growth rate of 30.82%. Progressive Corp (NYSE:PGR) is another Zacks Rank #2 company, and provides personal and commercial property-casualty insurance, and other specialty property-casualty insurance and related services primarily in the United States. The stock saw solid earnings estimate revision of 60 cents over the past 30 days for this year with a growth rate of 33.84%. It has a VGM Score of A. Article printed from InvestorPlace Media, https://investorplace.com/2018/02/financial-etf-stocks-buy-post-fed-minutes-ggsyn/.